An expert in nuclear weapons design and delivery and member of the Congressional EMP Commission says it’s very likely North Korea is developing technology that would enable it to launch a small-yield nuclear weapon from a satellite that is capable of knocking much of the U.S. power grid. Dr. Vincent P. Pry, in an exclusive interview with Breitbart News radio host Aaron Kline over the weekend, noted that much of the international community and global news media are focused on North Korea’s intercontinental ballistic missile tests and its nuclear weapons program. However, he said the real danger comes from the EMP – electromagnetic pulse – threat that has the potential to destroy most of our electric-powered infrastructure. Those satellites – the KMS 3-2 and KMS-4 – are earth observation vehicles that Pyongyang launched in April 2012 and February 2016 respectively. He said the plan is to essentially prevent any U.S. attack on North Korea, under threat of EMP retaliation. Pry said the North Koreans may be mimicking a technology he said was developed during the Cold War by the Soviet Union, in which an attack via EMP was one element of a surprise assault against the U.S. aimed at destroying much of the U.S. military. “During the Cold War, the Russians had a secret weapon they called a fractional orbital bombardment system,” Pry said, adding that the strategy involved a preemptive EMP attack using a warhead disguised as a satellite. 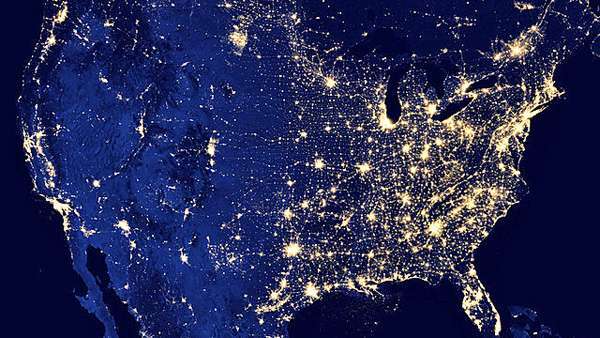 Earlier, a report co-authored by Pry and former CIA Director James Woolsey for the commission found that an EMP attack that destroyed a large swath of the power grid would result in a 90 percent death rate among Americans, from starvation, societal collapse and deprivation. Interestingly, there are several skeptics, many from the Left, that believe this kind of technology and scenario could not possibly exist. As for the what would happen to American society if the U.S power grid suffered major widespread damage, one need only to look at “disasters” on a much, much smaller scale to determine that outcome. What happens in major cities following flooding (New Orleans, 2005) or jury verdicts (Baltimore, Ferguson, Mo., Rodney King) is a microcosm of what would occur in U.S. cities big and small all around the country if our power grid was largely destroyed. Only a Left-wing kook would dismiss that reality. Meantime, the Trump administration remains focused on the North Korean threat.